We as a group of companies shall strive to achieve leadership in design, development and distribution of various water pumping equipment, through continual improvement towards excellence and customer satisfaction. 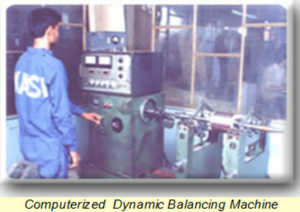 Manufacturing and timely delivery of consistent quality products and services as per customer requirements. Continual improvement in our products and processes. Training and involvement of our dedicated workforce. Over the 57 years we have established cast iron metal knowledge to insure that all of our castings meet customer expectations. 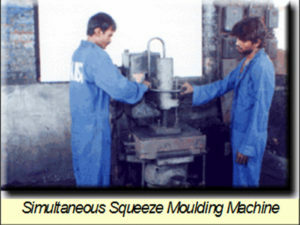 The castings are machined in-house CNC Machines. Foundry division is equipped with latest manufacturing processes & testing facilities. Our aim is to supply conformed products to our customers on time. We produce castings as per BIS Standards. Casting Range : Cast Iron as per IS:210 and Bronze Castings. Capacity : 250 metric tonnes per month. We use CAD / CAM for design of Castings , pattern making , machining etc. Hand Moulding for heavy castings in nobake and CO2 moulding. Divided Blast Cupolas 2.5 – 3.0 Tons / hr. with Pollution Control Devices. Divided Blast Cupolas 2.8 – 3.2 Tons / hr. with Pollution Control Devices. Conventional Cupolas 2.2 – 2.5 Tons / hr. with Pollution Control Devices. 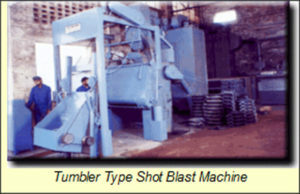 Tumbling type shot blasting machines. 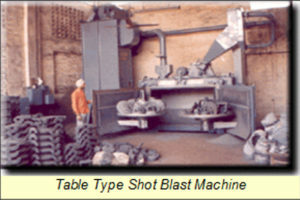 Rotary type shot blasting machines. Heavy duty frame type grinders. In house casting facility material used in pattern making. 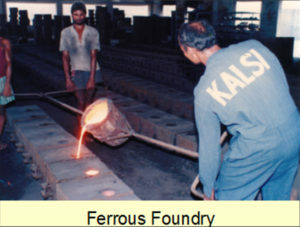 A system has been applied in Foundry Section as per ISO 9001:2008. This system is for Continuous improvement and Foundry Section is on the improvement stream. All casted pieces are inspected before shot blasting and after shot blasting. On line temperature measuring meters. On line Carbon Silicon Analyzer. We are manufacturing a wide range of Castings in Cast Iron & Bronze. For Submersible Pumpset : Upper Housing , Lower Housing , Connecting Piece , Rocker Plate, Motor Base. Impellers , Bowls , Discharge Outlet , Suction Case , Inlet. Our all sister concerns are ISO 9001:2008 companies which shows our commitment toward product quality and supply material to the customer on time and trouble free after sales service. All the process control instruments & equipments used in production / quality control is Calibrated at regular intervals to be sure that products are manufactured with consistent quality. We have strong Customer feedback system to take corrective & preventive action to see that our customers are totally satisfied. Through continual improvement towards excellence and customer satisfaction we train our dedicated work force. We are committed for continual improvement in our products & processes. We supply material on time for total customer satisfaction. Foundry : Carbon Silicon Analyzer , Green compression strength tester ,Green shear strength tester , Temperature measuring instruments , Core Hardness Tester , Boroscope , Mould Hardness Tester , Compatibility tester , AFS sieve Tester , Moisture Tester , Permeability Tester , Chemical Analysis Lab. Machine Shop : Slip Gauges , Outside Micrometers , Inside Micrometers , Height Gauges , Air Gauges , Depth Dial Gauges , Vernier Calipers , Dial Vernier Calipers , Dial Indicators , Pressure Gauges , Snap Gauges , Thread Plug gauges ,Thread Ring Gauges , Vacuum Gauges , Plug Gauges , Ring Gauges , Temperature Indicators , Bench Centers. 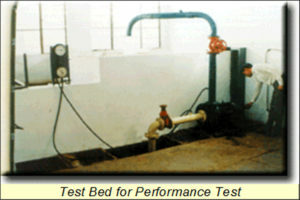 Our products are 100 % tested. In manufacturing quality is continuously improving due to our Total Quality Management programme. All the products are very strictly scrutinized and then they are sent for assembly. 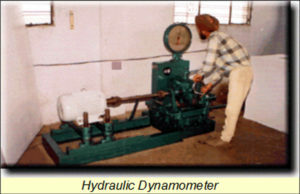 All final products are 100 % Hydraulic tested to ensure good quality of the products.